Sign up for our mailing list to get Jim and Jan's Episode Summary, Extras and our Points to Ponder. 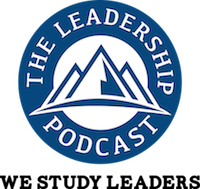 Christian Anschuetz – The benefits of an organization that embraces risk-taking In this episode, Christian Anschuetz shares his intention-based leadership style, and how his military career influenced his leadership style, and helped him thrive in a corporate career. He also discusses how he aims to change the lives of veterans through his work with Project Relo….